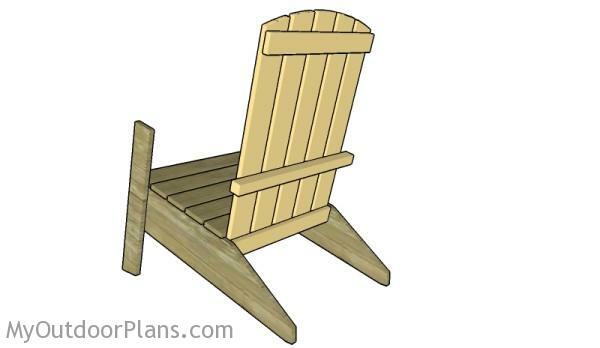 This step by step diy woodworking project is about modern adirondack chair plans. 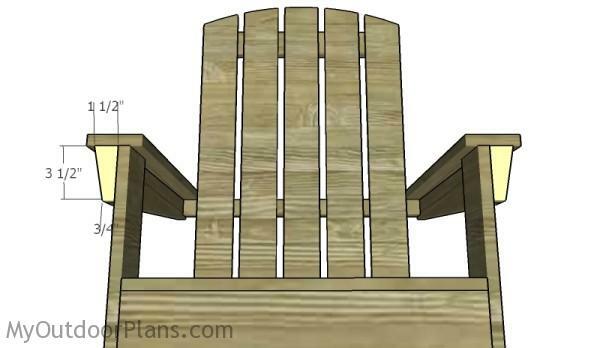 The project features instructions for building a wooden adirondack chair with a modern design. If you want a cutting edge look for your project, make sure you take a look over these plans. Make sure you take a look over the rest of plans to see alternatives and more projects for your garden. The first step of the project is to build the back legs for the adirondack chair. 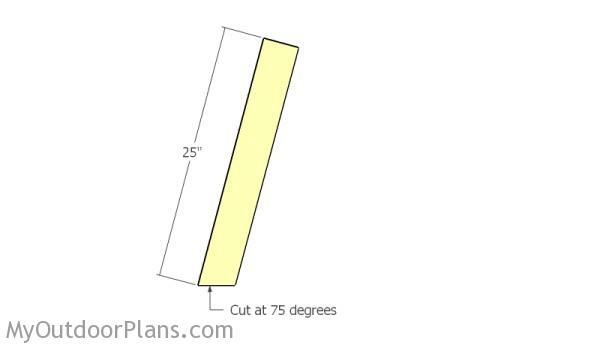 Mark the cut lines on the 1×8 slats and get the job done with a circular saw. Smooth the edges with attention for a professional result. 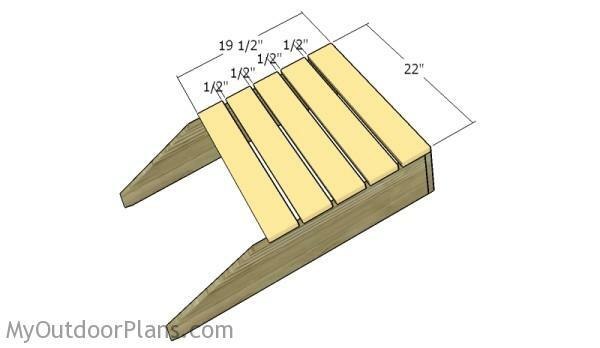 Continue the outdoor project by attaching the 1×8 slat to the front of the back legs. Drill pocket holes through the back legs and insert 1 1/4″ screws into the front slat. Make sure the corners are square and align the edges. Add glue to the joints for a durable bond. 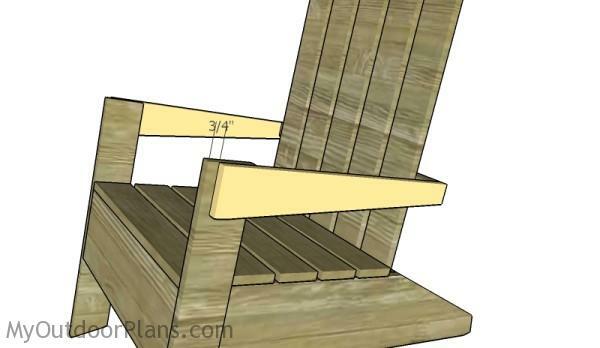 Use 1×4 slats to build the seat for the chair. 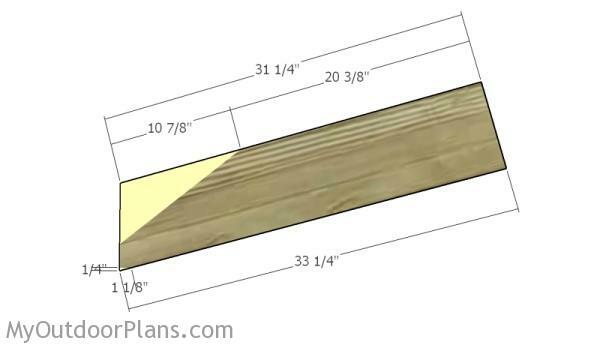 Place the slats equally spaced, by placing 1/2″ plywood between them. Drill pilot holes at both ends of the slats and insert 1 1/4″ screws into the legs. 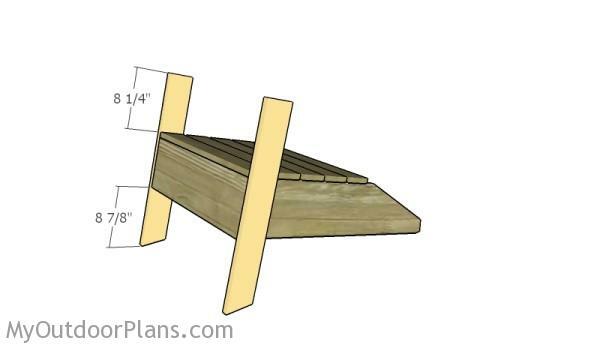 Build the front legs from 1×4 lumber. Cut one end of the legs at 75 degrees. Attach the front legs for the seat frame and clamp them into place tightly. Drill pilot holes through the frame, from the inside, and insert 1 1/4″ screws into the legs. Make sure the edges are flush before inserting the screws. 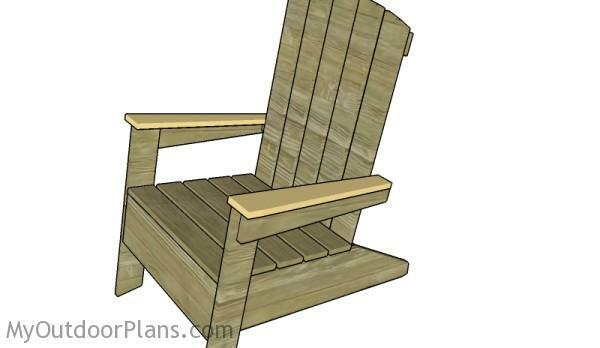 Build the backrest of the adirondack chair from 1×4 lumber. 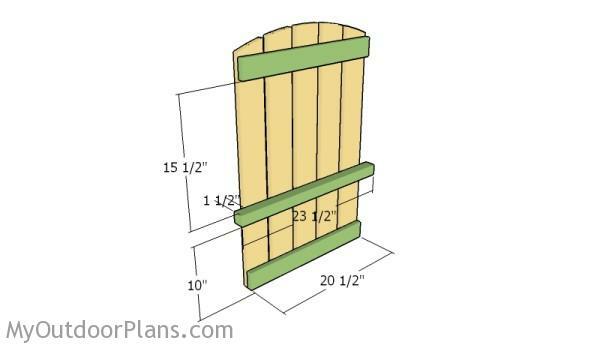 Place the slats equally-spaced, by placing a piece of 3/4″ plywood between them. Use a jigsaw to round the top of the slats, as shown in the diagram. Attach 1×4 and 2×2 supports to the slats. Drill pilot holes and insert 1 1/4″ screws into the slats. Use 2″ screws when attaching the middle support. Attach the backrest to the frame of the chair. Drill pilot holes through the back legs and insert 2 1/2″ screws into the bottom support of the backrest. Make sure the backrest makes a 90 degree angle with the seat. 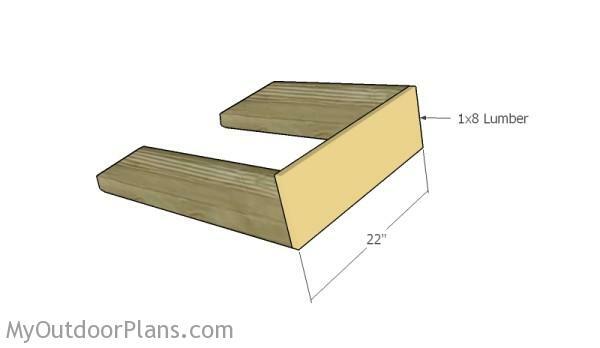 Build the armrests supports from 1×4 lumber following the pattern shown in the diagram. Attach the support to the front legs and to the backrest of the chair. Drill pilot holes and insert 1 1/4″ screws to lock the support into place. Leave no gaps between the components and make sure the edges are perfectly aligned. Build the armrests out of 1×4 lumber. 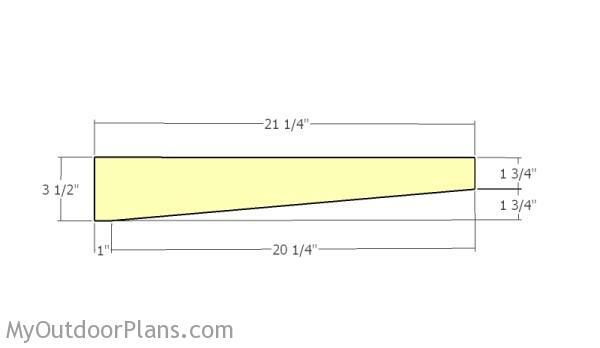 Follow the pattern shown in the image to cut the armrests. Smooth the edges with sandpaper and remove the residues with a damp cloth. 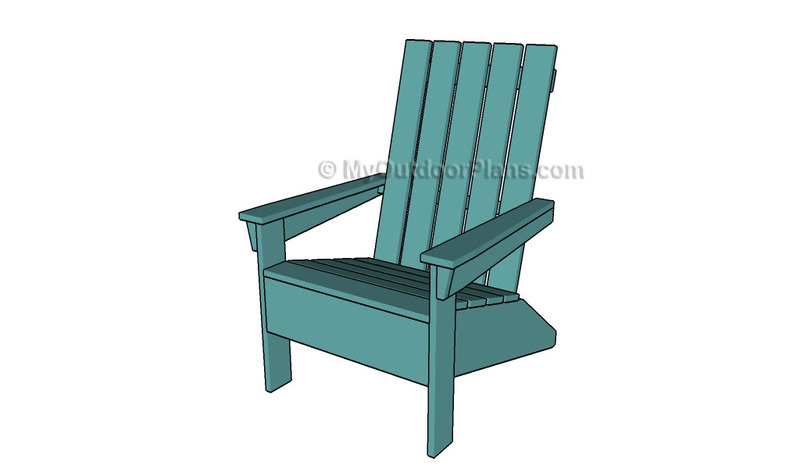 Fit the armrests to the adirondack chair, as shown in the diagram. Align everything with attention, and use 1 5/8″ brad nails to lock the components into place. Add glue to enhance the rigidity of the bond. Fit decorative trims to the chair, as shown in the plans. 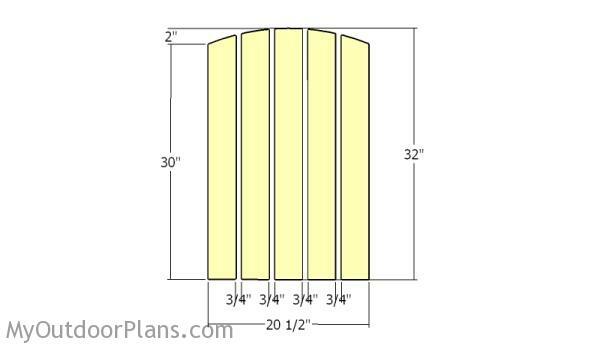 Use 1 5/8″ brad nails to lock the trims into place. 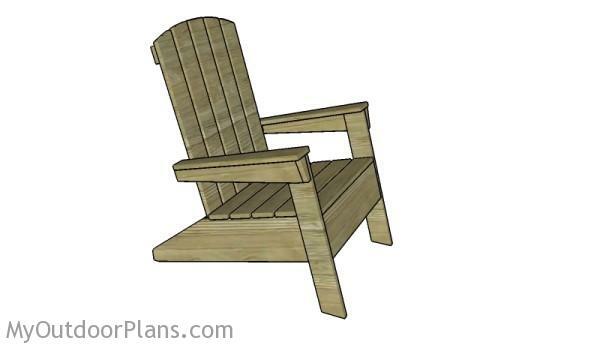 Top Tip: Check out the rest of the projects, if you want to see more adirondack chairs. 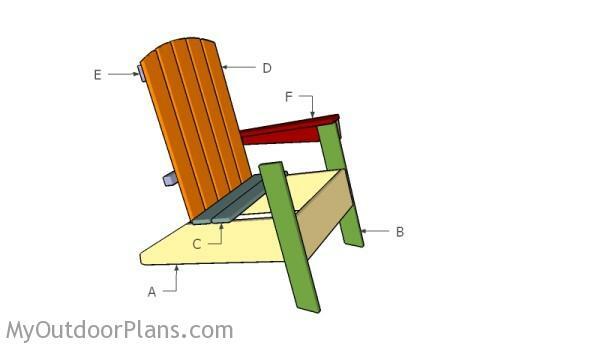 This woodworking project was about modern adirondack chair plans. If you want to see more outdoor plans, check out the rest of our step by step projects and follow the instructions to obtain a professional result.